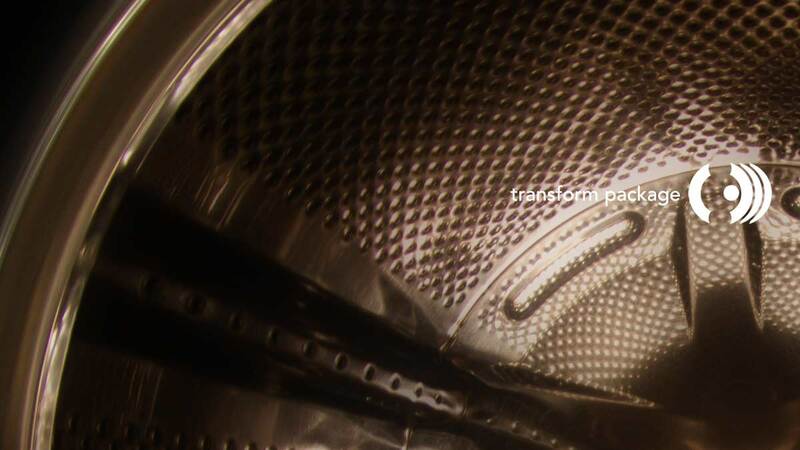 These transformation tools are designed to position your object inside Layout in a more comfortable way. All tools currently ignore "autokey off". AddRotation++, this tool is mainly a replacement for LightWaves own "Add Rotation". Unlike the original this version works on all selected objects. 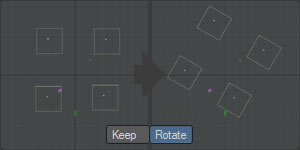 Allows you to rotate one / several objects around a custom center, with or without keeping the original rotation. Origin: Either a custom origin (by entering a value or dragging the cross indicating the center) or the average position of all pivots. Method: (Either keep current individual orientation of the object, or rotate it . Popup: For quick assigning an object pivot as a rotation center. 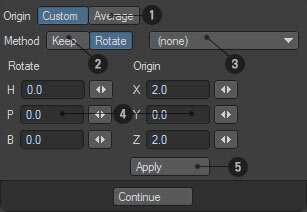 Numerical Input: for entering the exact values. Apply: For entering a numeric value / apply it to the selected object (similar behaviour like modelers tools). 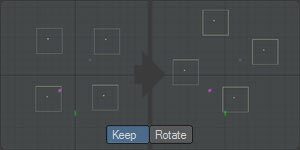 most of the functions / behavior are similar to Custom Rotation.